This is a photo of a foggy inland lake in Michigan. I took this photo a few years ago, right now this same lake still has snow on it. 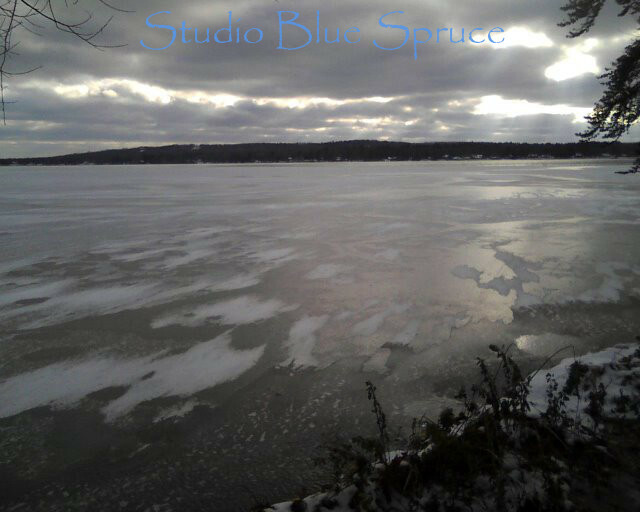 I am re-posting some scenes of an ice covered lake in Michigan. I am re-posting some photos from the last couple of years. This is lake in northern Michigan. In the first photo, the ice formed early, trapping the fall leaves. 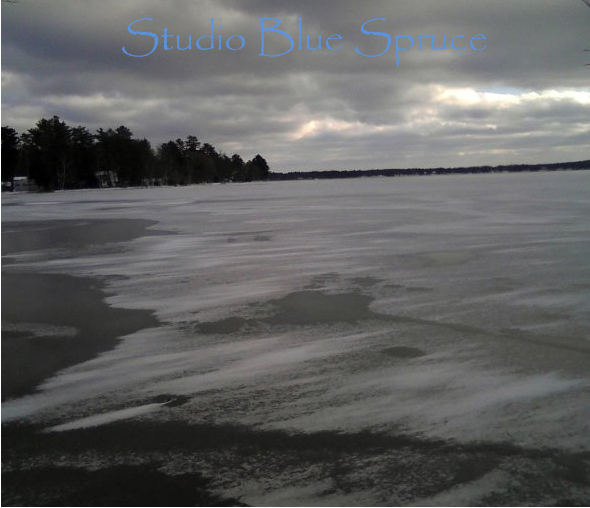 In the second photo, the ice is just starting to cover the lake. This is a photo I took some years ago of a lake in Michigan. It was a beautiful sunny day, with just a few clouds in the sky. There is a small campground by the lake, and there are often ducks and geese as well. These pictures were taken in Michigan last fall when we had an early snowfall. It was very windy, and the snow was blown in rather interesting patterns around the lake.